I just got back home from the 2014 National Center For Race Amity (NCRA) Conference in Norwood, Massachusetts, and am full–full of all that I got to experience–the inspirational speakers, panels, and attendees, new and old, I got to connect with. I am full of gratitude for being able to be there, and for the theme this year of how women have impacted the work of Race Amity, or the positive cross-race, cross-cultural collaborations that have improved race relations and have moved us closer to recognizing we are all connected, all one human race. I will be blogging about the conference this week, but wanted to post a song inspired by a moment in the documentary shown today: Standing On My Sisters’ Shoulders, about the transformational, world-changing work of black women, as well as white women, during the Civil Rights movement. In one scene, June Elizabeth Johnson, a student activist for the SNCC, retells how on a bus trip to do civil rights work, their bus was stopped by a police man who stated their bus was too yellow, too much like a school bus, and they were shut out of doing the work they intended to do that day: registering to vote. 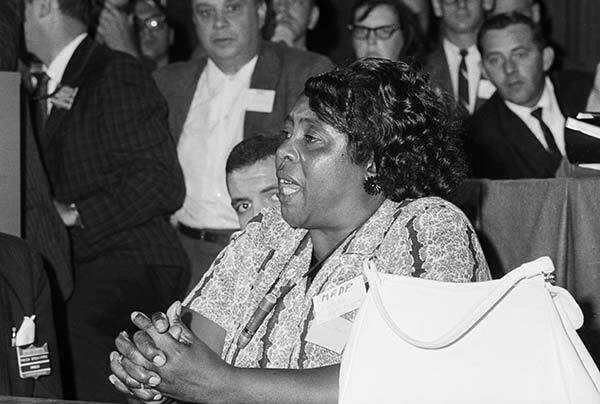 While the passengers on the bus became fearful of what was happening, the legendary Fannie Lou Hamer was on the bus, and began to sing, This Little Light of Mine, which June said inspired everyone, just calmed people and energized them to keep going with their mission to live lives equal to whites in this country. Here Odetta sings This Little Light Of Mine. Her spoken intro to the song here perfectly reflects the message of the NCRA Conference. I can’t wait to share more on that in the coming week. Hi, there, Wendy Jane! Wow and wow, and wow and wow, my precious, dearest, and sweet white and Jewish sisterfriend, Wendy Jane! This is an absolutely wonderful blog post article of yours, as well as your other sparkling and inspirational ones, sister! I loved this, Wendy Jane! The National Amity Race Conference sounds just so empowering and inspirational! I wish that I could have gone, and that I could go someday! I loved, too, Odetta’a beautiful and soulful voice as she sang with such heart and spirit This Little Light Of Mine. I found myself singing along with her, and I just loved the great instrumentation in the background which was such a musical delight. Odetta spoke such marvelous and so, so very true words of wisdom in her intro before she began her blessedly inspirational singing. I loved how back then how Fannie Lou Hamer sang this powerful song on the bus when the very courageous and undaunted Civil Rignts workers from SNCC faced the conflict and harassment from the police when they as SNCC people were on the bus and unjustly accused of breaking the color scheme on their bus. How indomitable and brave Fannie Lou Hamer was and how she so energized and inspired the other people on the bus. I thank-you so much, friend, for sharing this in this brilliant and empowering blog post article, Wendy Jane! Just has gotten my morning started off with such joy, blessings, and energized enthusiasm and inspiration, Wendy Jane! Sister, I just loved how you wrote about the positive cross-race and cross-cultural collaborations between white women and black women. You did my heart such immense and eternally great good in writing and sharing on this, friendsister Wendy Jane! You the same way I do believe with all that we have with all of our hearts that friendships, sisterhood, and alliances can be formed in our bonds in cross-race, cross-cultural collaborations between us as white women and black women in doing our joyfully blessed work together towards racial reconciliation and healing. I have for always all of my life believed that these friendships and alliances between white women and black woman are indeed possible and very workable and effective. I have for always believed this with all that I have with all of my very heart, and I for always will continue to believe this for always without fail. Wendy Jane, I also loved how you spoke of the transformational, world-changing work of the white women and the black women together in the spirit of unity back then as they all worked toward racial equity and healing reconciliation in a shared and beloved, common humanity, and how all people must work for this noble goal and cause as well. I am so glad that June Elizabeth Johnson retold the story of how Fannie Lou Hamer and the other SNCC people were harassed, and how these brave bus riders eventually overcame this dire situation with their never ending, faith-filled spirit. This documentary sounds like it was such a joyous blessing to see, and very educational, uplifting to your spirit, sister, and for the others, and also very empowering! Wendy Jane, I am just so bursting with excitement in great and eager anticipation to read more about what you experienced at this fantastic and spectacular conference! My white and Jewish sisterfriend who you are so, so very much as the incredibly wonderful white woman who you are, Wendy Jane, please have such a very nice, special, and a very blessedly Happy Sunday, and enjoy the rest of your weekend! Wow, Wendy Jane, you have made my morning and my day started off with such energy, blessings, and inspiration from this spectacular and soulful, Spirit-filled blog post article of yours! Wendy Jane, I am now ready to face my day (SMILE!)! Looking forward to the blog this week!